The 5th SMB strategic Achilles heel hobbling your small to mid-size company is unavoidable. Digital transformation impacts how we do business and how we manufacture outcomes for customers. As a result, IoT-readiness is now table stakes for SMB growth, expansion and sustainability. 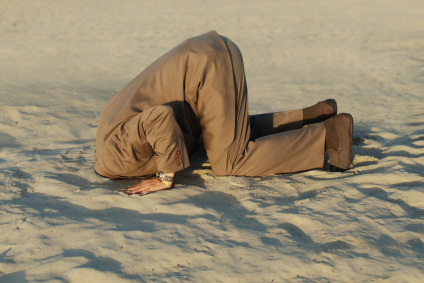 Is your SMB in complete denial, hiding your head in the sand? From my perspective, the industrial IoT (Internet of Things) represents the fifth, and largest, SMB Achilles heel. This weakness impacts how well a SMB acquires, serves and retains customers. There are 6 SMB strategic Achilles heels impacting a company’s viability. In Part 1 of this three-post blog series, I discussed the first 4 factors which can weaken a small to mid-size business over time. These four factors involve customer acquisition and retention strategy and execution as well as an organization’s business and leadership model. In addition, human capital strategy and HR functionality are additional factors which impact organizational competetiveness and viability. Finally, I address the impact of the sales organization on manufacturing operations. However, the 5th SMB strategic Achilles heel impacting small to mid-sized businesses involves the impact of IoT technology on marketing, sales, manufacturing and operations. In the digitally connected, globally competitive business ecosystem, data becomes the organizational common denominator. This fifth strategic SMB Achilles Heel represents the Moment of Truth for far too many small to mid-sized businesses. However, the “solution” is not a matter of going on a technology purchasing frenzy, either. (I can hear you all breathing a collective sigh of relief). Far too many clients contract my services after they upgrade technology to meet the demands of existing clients who represent the majority of their gross annual revenue. Subsequently, these companies learn the hard way that retrofitting technology into the workplace and onto the workforce cannot magically leapfrog a company competitively. Rather, digital transformation of SMBs necessitates creating cross functional business and operational processes. Unfortunately, many of these processes and practices are historical and consequently legacy. As a result, not only is new technology retrofitted onto existing infrastructure. Also, outdated processes are expected to be easily retrofitted into new systems and software. However, creating these cross functional processes involves IT OT convergence. Often, the siloed business models present in SMBs are not flexible enough to accommodate convergence mindset. While the initial focal point of SMB digital transformation is IT infrastructure, ultimately end user experience drives – or impedes – successful adoption across an organization. In addition, IT OT convergence doesn’t happen on its own, or in a vacuum. Rather, individuals and teams, from the plant floor to the C-Suite are impacted by 5th SMB strategic Achilles heel initiatives. As a result, successfully addressing and overcoming this organizational weakness relies on the willingness of leadership and management to converge. First steps begin by acknowledging failure points responsible for lack of competitiveness. Sometimes, these elephants in the room are the result of not only processes or equipment. Rather, The industrial Internet of Things ecosystem represents the intersection of processes, software, equipment and people. And that is the factor we will address next. How has your own SMB been addressing the impact of digital transformation on organizational competencies and competitiveness. Is it time to take the next step and discuss your business case?